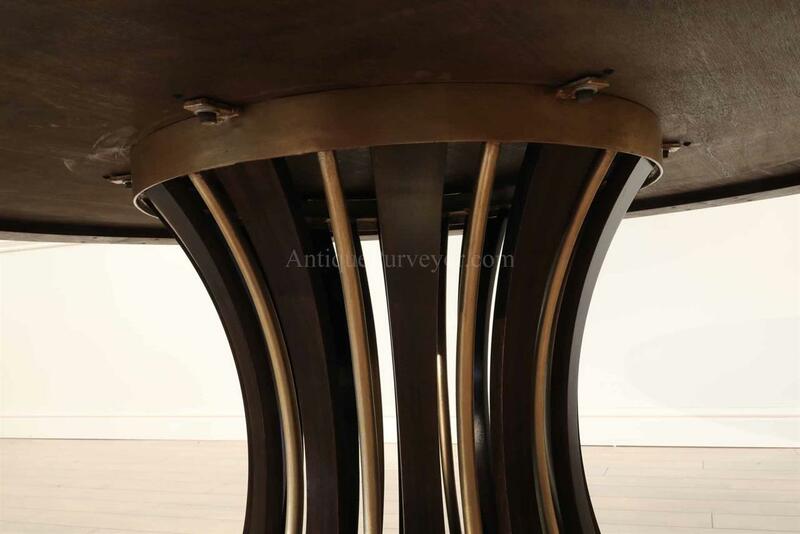 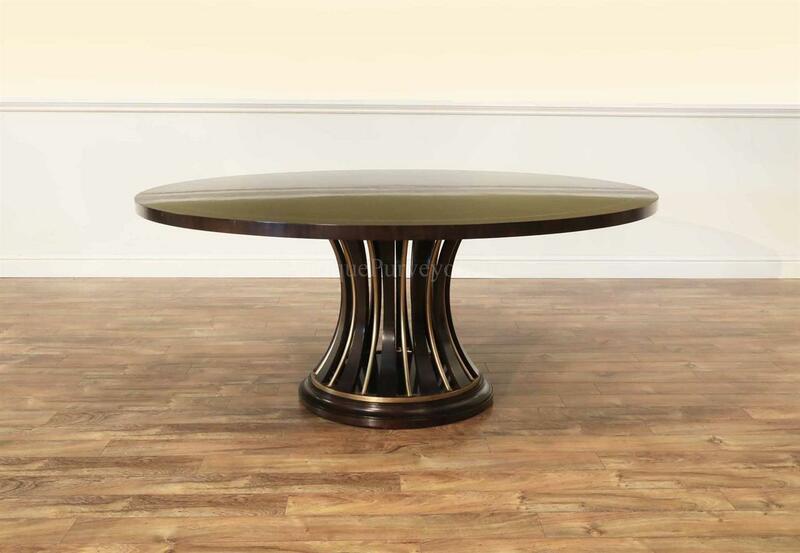 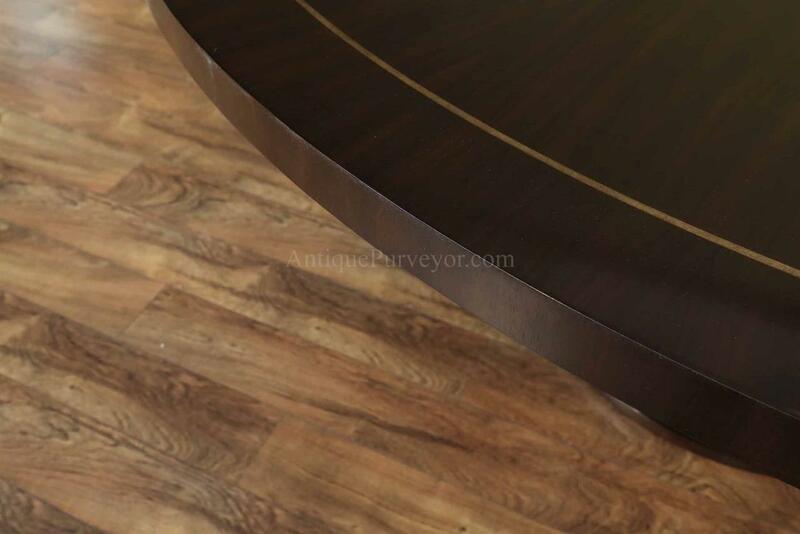 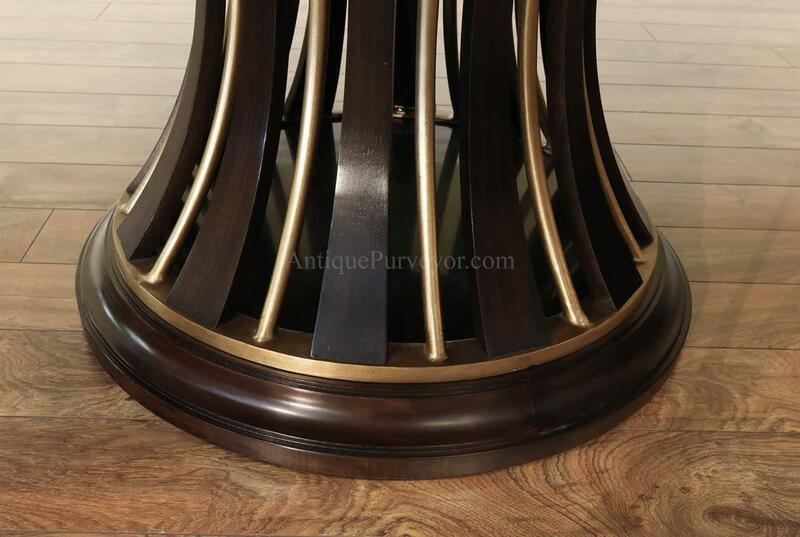 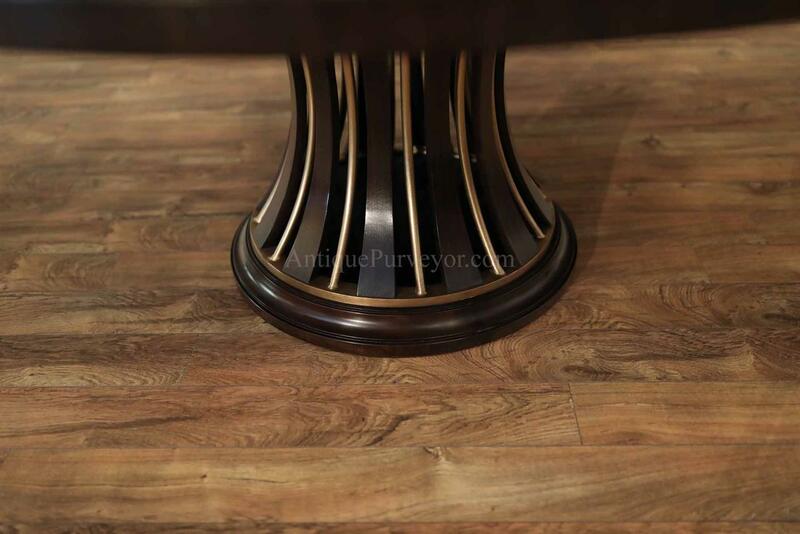 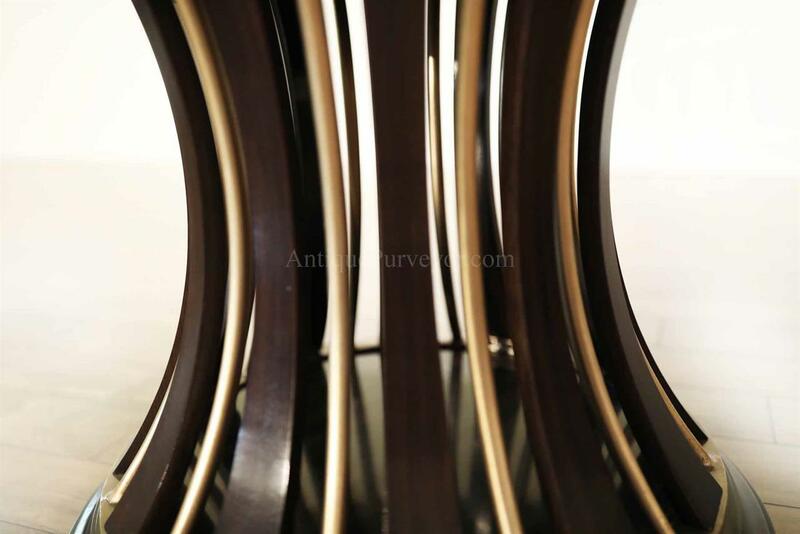 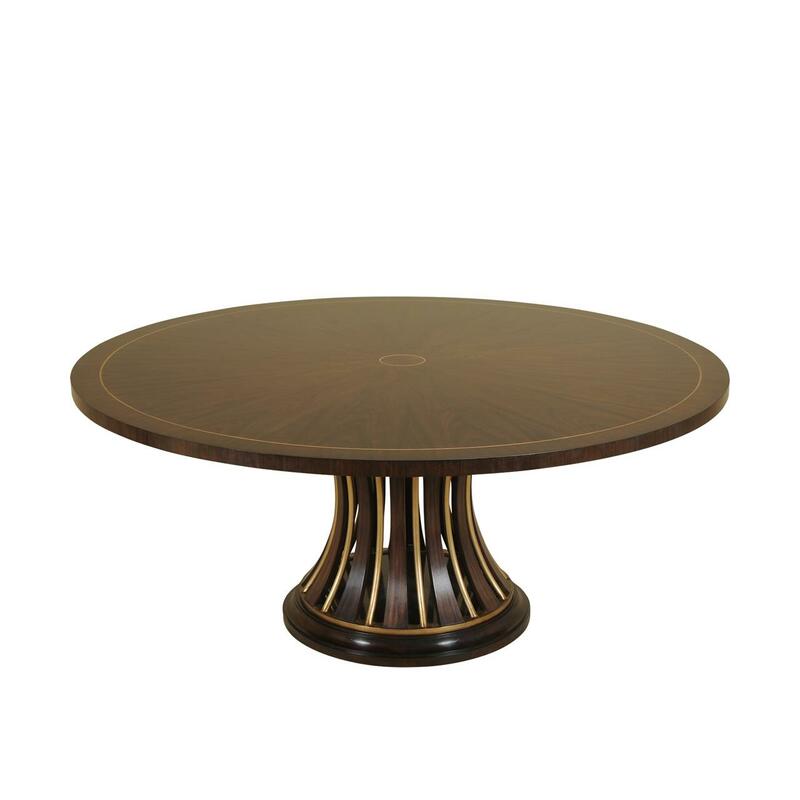 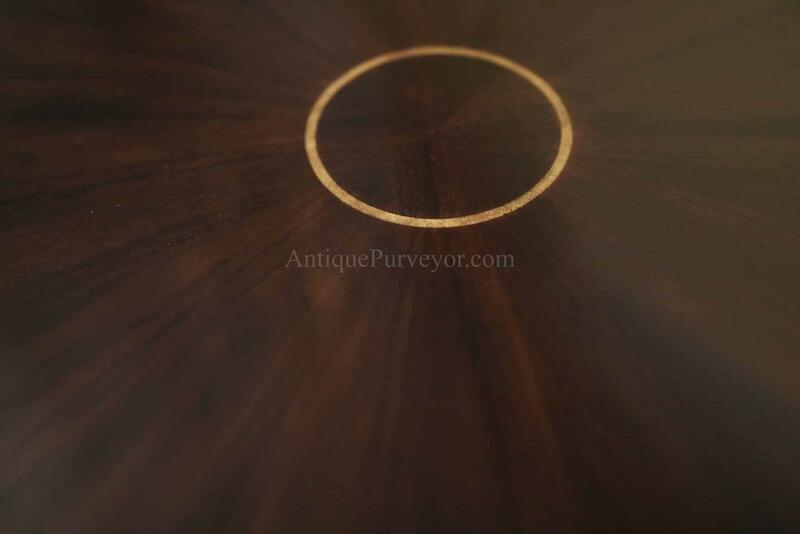 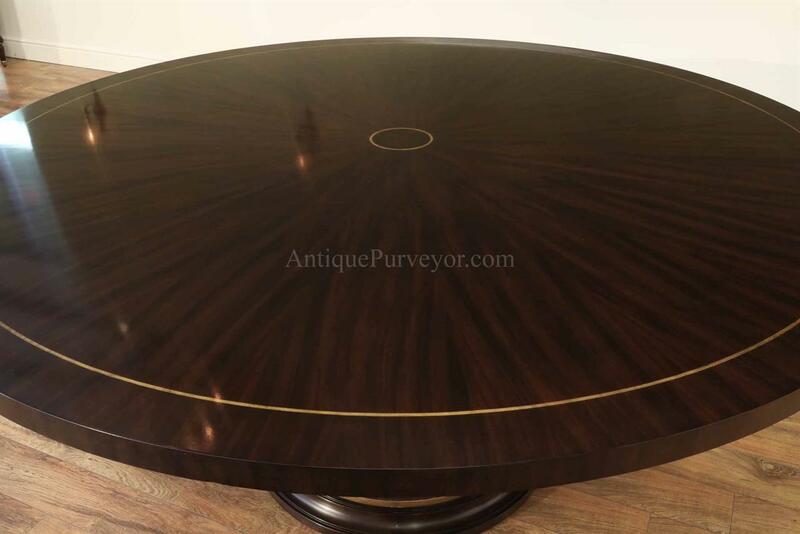 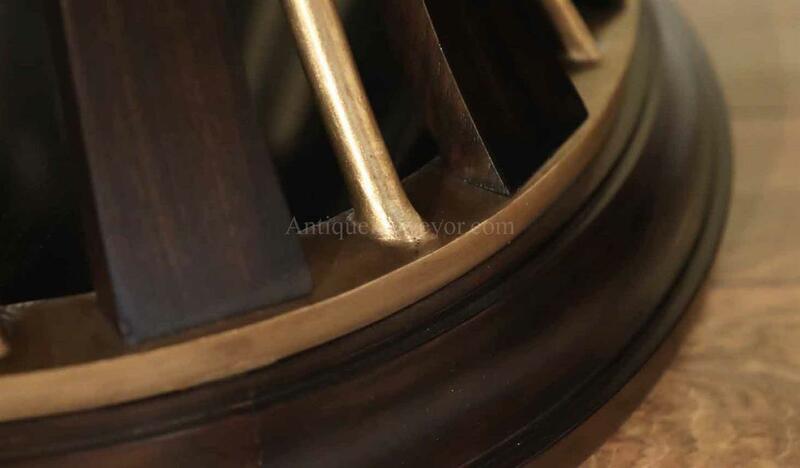 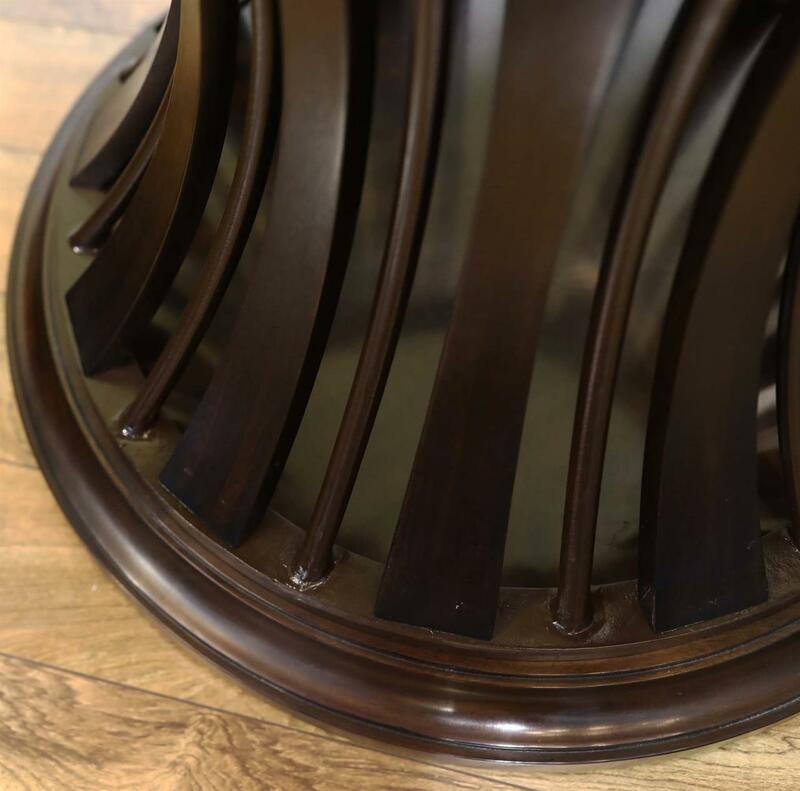 Description: High-end modern round pedestal table made from rosewood and iron welded pedestal base. 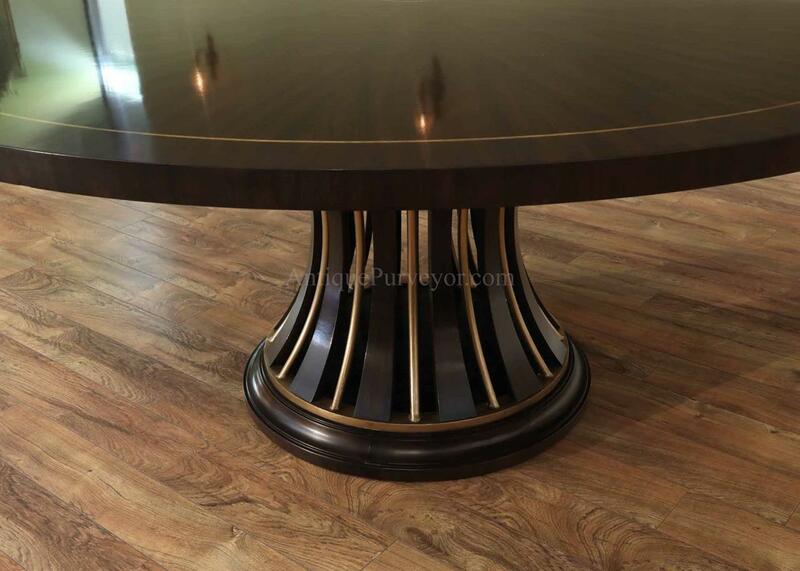 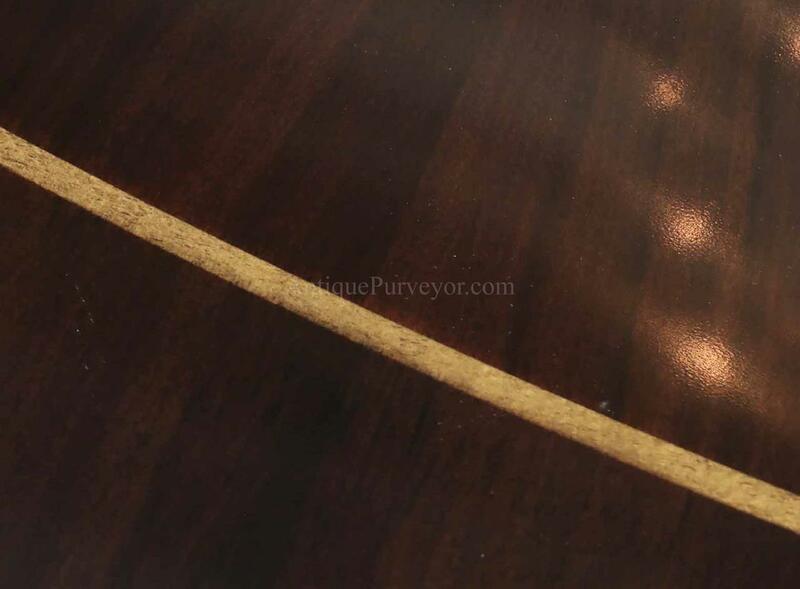 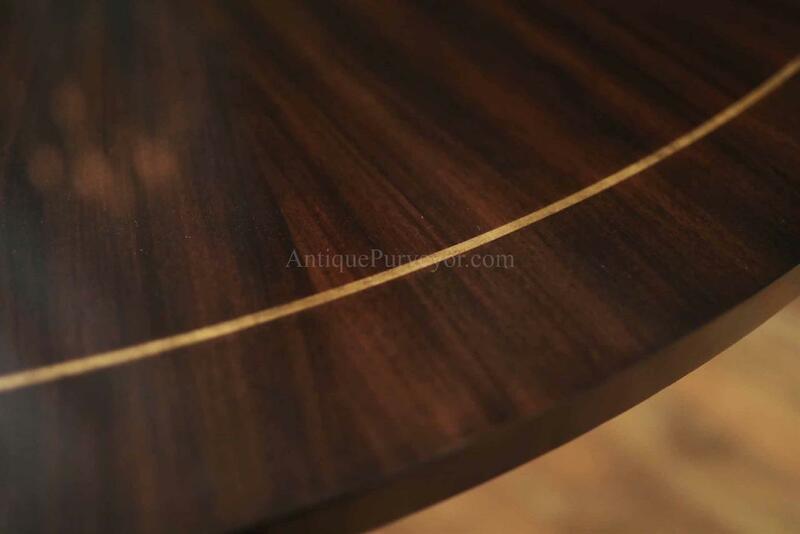 Gold accented single pedestal dining table with subtle pinstripe inlaid top. 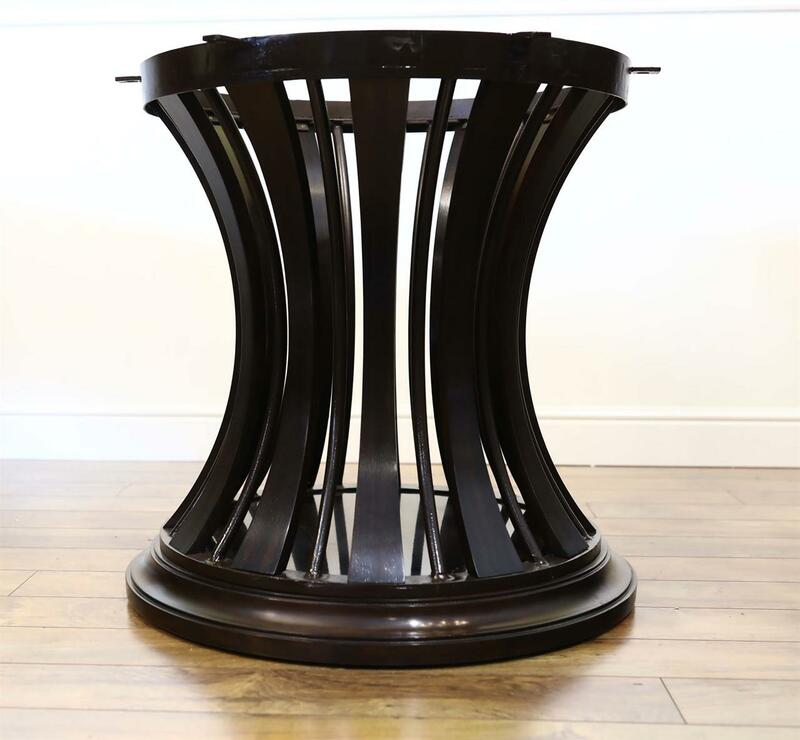 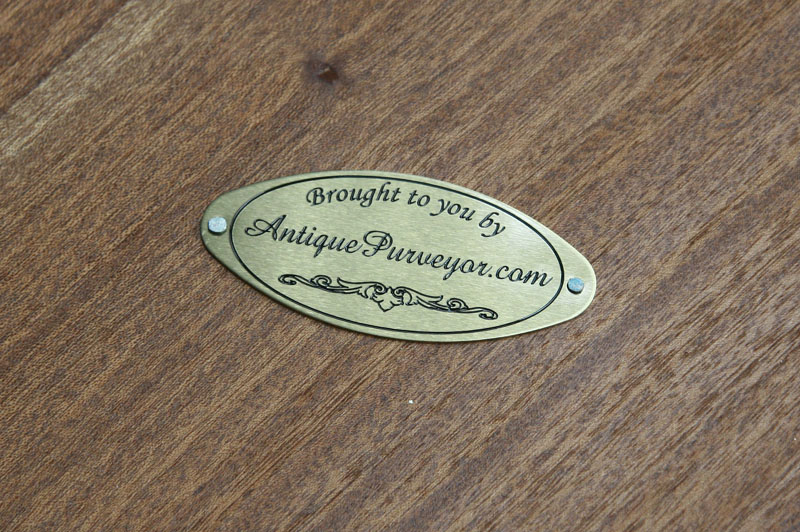 Very heavy, designer grade quality dining table stands sturdy.